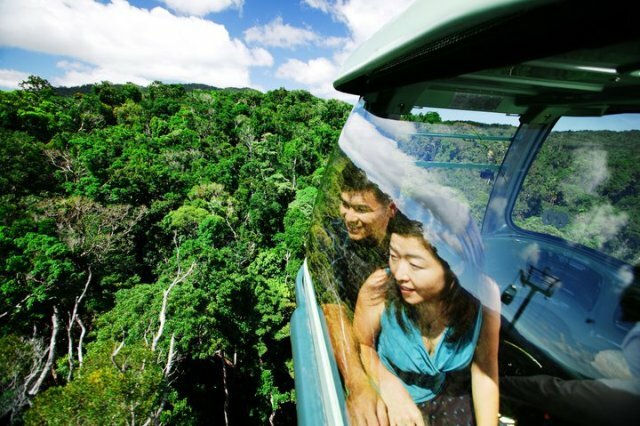 9:00am - Travel to Kuranda Village by Skyrail Rainforest Cableway. 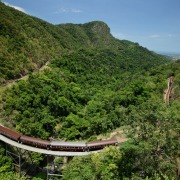 10:15am - Arrive at Kuranda Village. 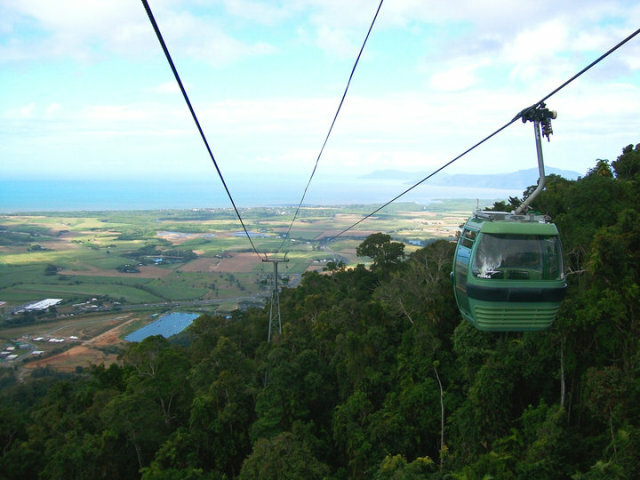 All entries or expenditures in Kuranda are at own expense. 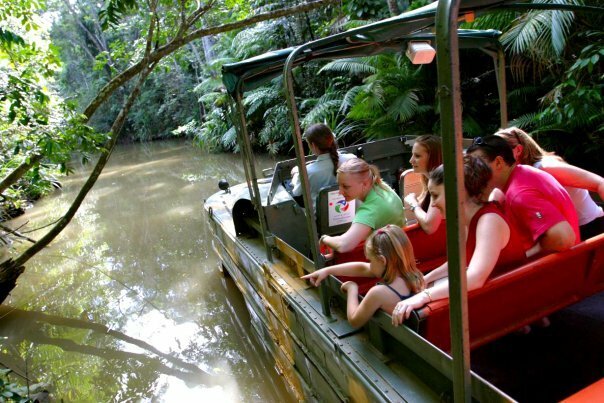 10:45am - Be at Australian Butterfly Sanctuary for your free shuttle bus to Rainforestation Nature Park. 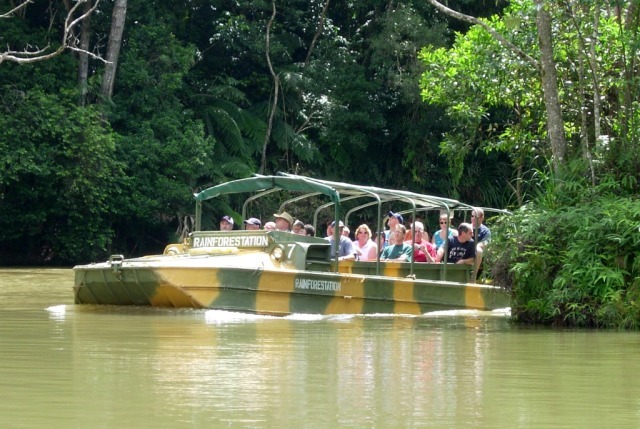 Army Duck Rainforest Tour with Tropical Fruit Orchid, Travel deep into the rainforest on both land and water on a guided tour. 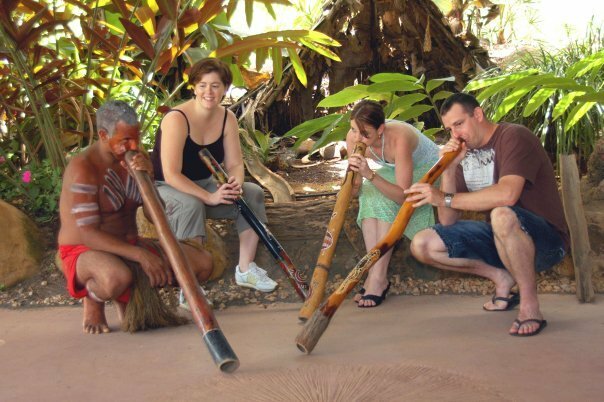 Walk - learn to throw a boomerang and watch spear-throwing and didgeridoo playing. 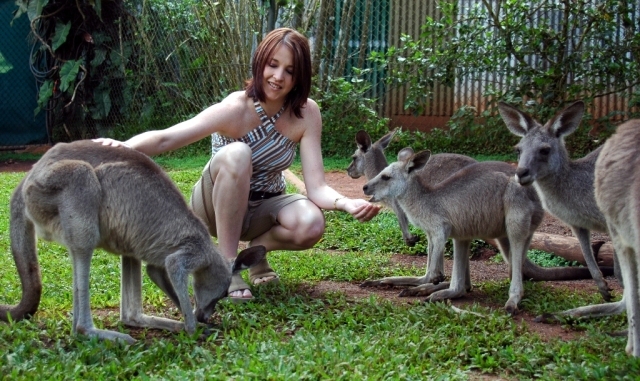 photo taken cuddling a koala or holding a small crocodile (extra cost). 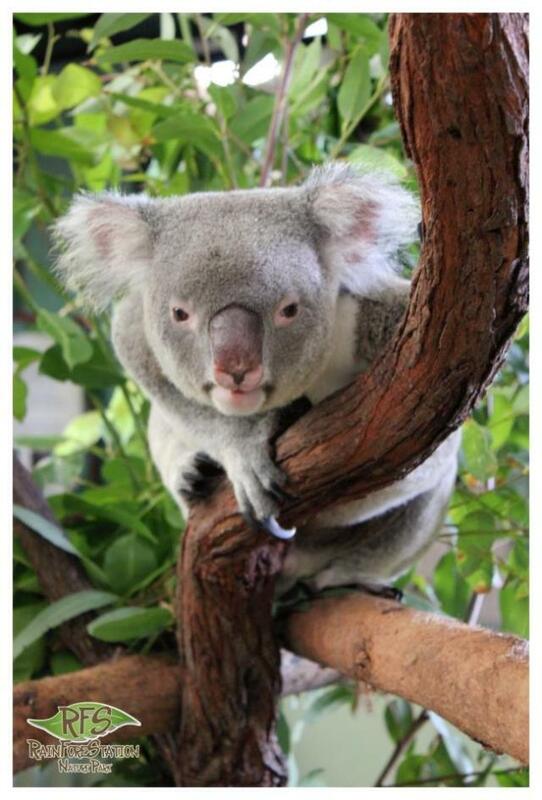 Rainforestation has a licensed restaurant - BBQ Buffet Lunch is available for purchase with a $5.00 discount. 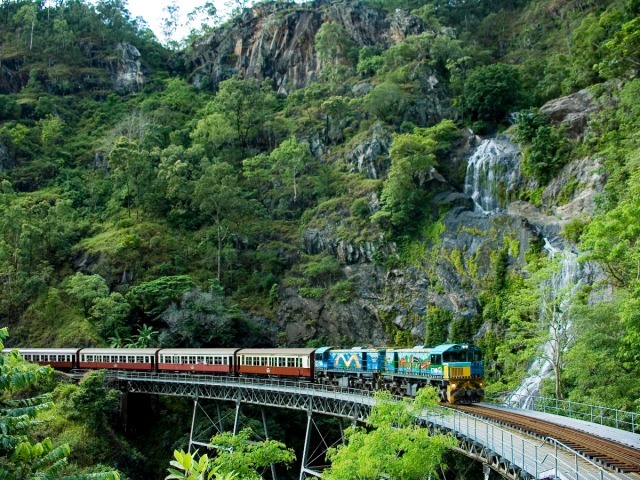 3:15pm - Be at Kuranda Railway Station and present this itinerary to receive your ticket for the 3:30pm train. 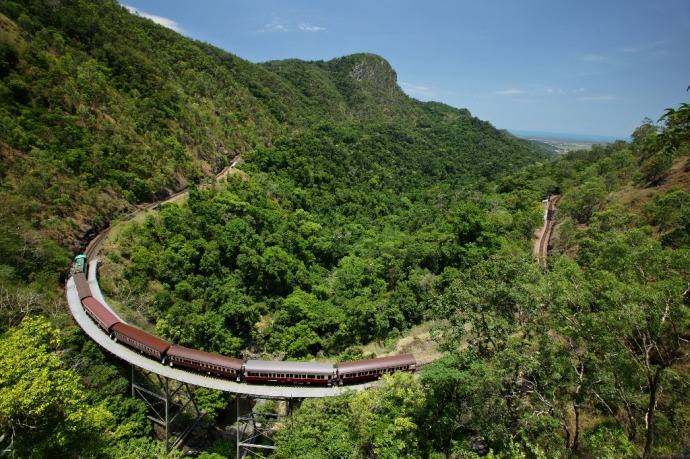 Your journey takes 2 hours through to Cairns Railway Station. 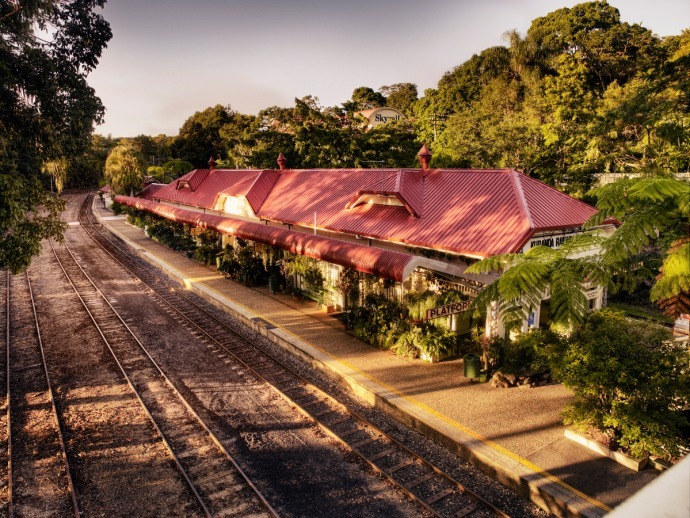 5:15pm - Arrive at the Cairns Railway Station, where your coach will be waiting to transfer you back to your Cairns accommodation. 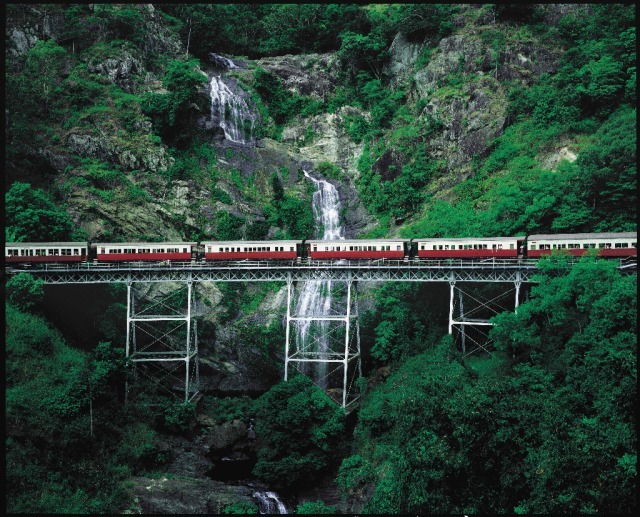 8:30am - Catch the Kuranda Scenic Railway for your journey to Kuranda Village. 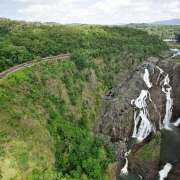 Wind through tunnels and over bridges on this magnificent journey, passing Stoney Creek and Barron Falls. Your journey takes approximately 1¾ hours. 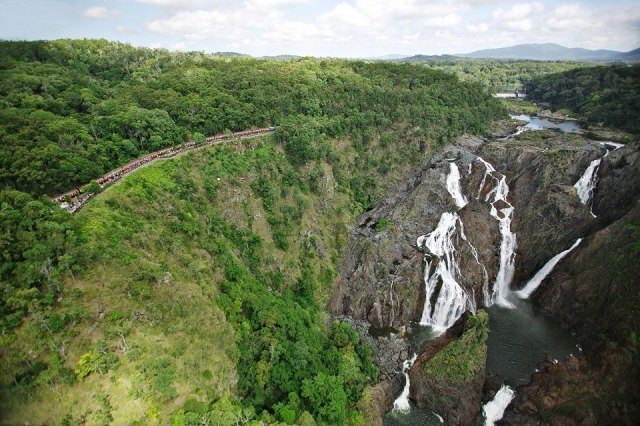 minutes, however we recommend you spend time at the two stations enroute: Red Peak Station and Barron Falls Station. 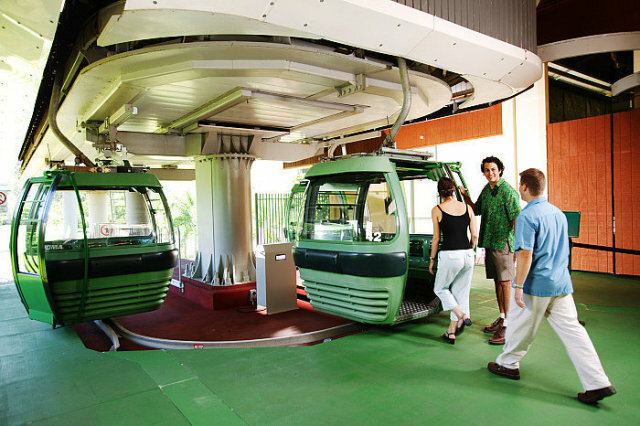 4:30pm - Arrive at the Skyrail Smithfield Terminal, where your Coach will be waiting to transfer you back to your Cairns accommodation. What a great experience this was. 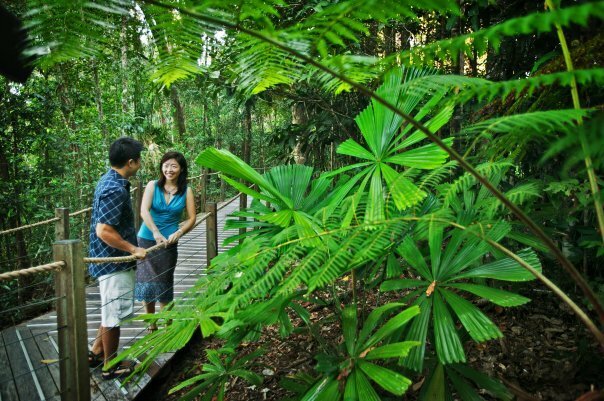 It was jam packed with things to do, sights to see and memorable moments to be made. I loved it! Loved the whole day, packed with amazing experiences unique sights & activities.